Colorful celebration of Brazil and all things discovery for kids. 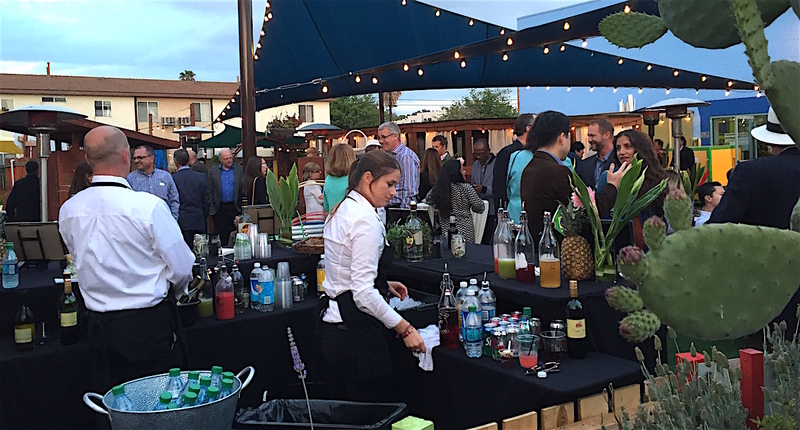 San Diego Children’s Discovery Museum put the fun into fundraising at its Brazil 2016 Spring Gala Saturday, raising nearly $200,000 while raising the patio performance roof for good measure. The Museum, now at its appointed place, 320 North Broadway, across from Grape Day Park, has proven to be an Escondido success story with 140,000 visitors in the last year, an 100 percent increase over two years ago, according to Javier Guerrero, Museum executive director, who spoke hella good Portuguese, by the way during his MC duties. Mixing it up at the gala. Kids and parents love the place, but it couldn’t go round without the generous support of the community in the form of donors, sponsors and those who give so the younger ones may receive. Such was the case for Museum Board member Robert MacMahon, an Escondido family and marriage therapist, who recalled the first days of discovery at the museum on a date that otherwise lives in infamy, Sept, 11, 2001. Click link above to see party dancing video. Lest anyone forget those who make the Museum run so fine, MacMahon offered a shout out to the true stars of the venue, the staff. Many Museum staff members were on hand to help festivities. Claribel Solis told of the dedicated work it takes to keep the Museum running smoothly from the glamor of the front desk reception to the more nitty gritty details of bathroom maintenance. 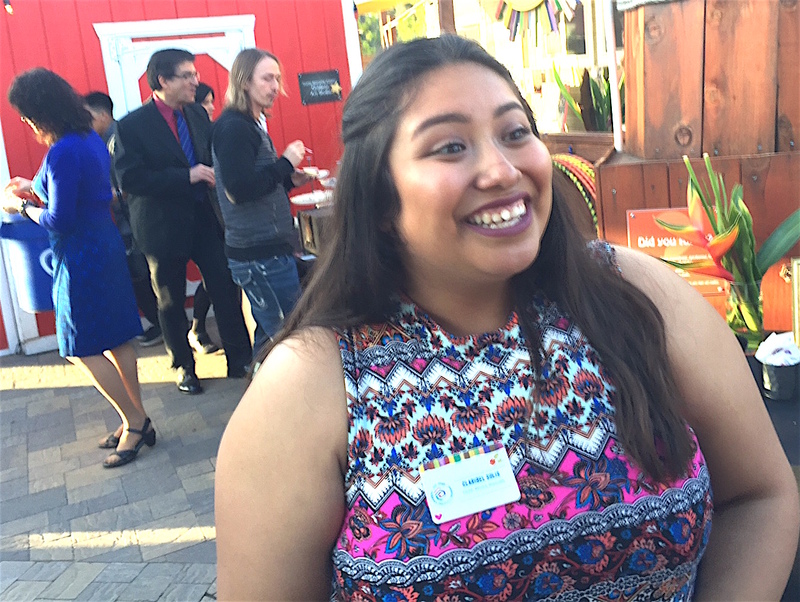 For Solis, the day-into-night event was all about “mellow energy,” adding, “This a really great vibe tonight, a perfect event for all the donors,” as she dashed toward the Little Hobbit Hole and Nature Playground the kids all love. 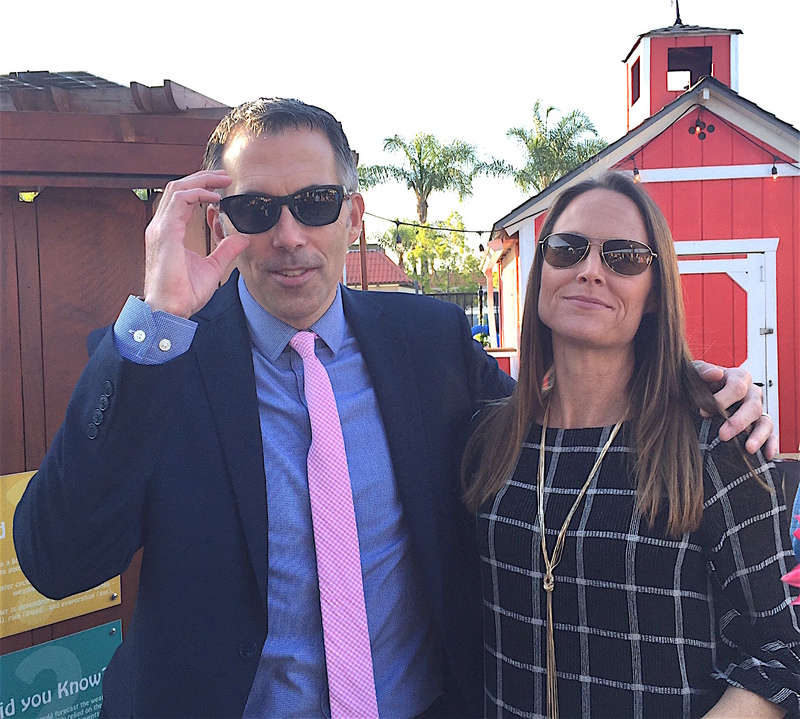 Fundraisers Brad and Kathleen Daugherty of Carmel Valley showed up cognito to support the Museum and Board member Susanne Stanford. There there went fellow fundraisers; he, Brian Daugherty of Carmel Valley and the San Diego Humane Society; she, Kathleen Daugherty of the College of William and Mary and obviously likewise, Carmel Valley, who came, saw and enjoyed the gala with great enthusiasm. The event became much more than the sum of its parts, but those parts were tasty, fulfilling and did we mention, fun. Yes, we did. Sounds of Brazil filled the Museum courtyard as the ad hoc Bossa Lounge Project entertained with authentic Brazilian music and dance. Surely, gala attendees couldn’t refrain from jumping in, all hands and feet aboard to the sounds of the Samba, Forro, Pagode’ and MPB. Dancers overwhelmed the stage; then, a Brazilian Bar Mitzvah reception broke out as they did the Conga line thing around the Museum courtyard. Kids, definitely you can try that at home. A silent auction featured items like vacation getaways, adventure activities, local dining and entertainment packages and mire. An opportunity drawing reveled in the likes of food and lodging packages. Raise one’s paddle and bid on live auction items as well and many did. Sabor de Vida Brazilian Grill of Encinitas did the BBQ honors. 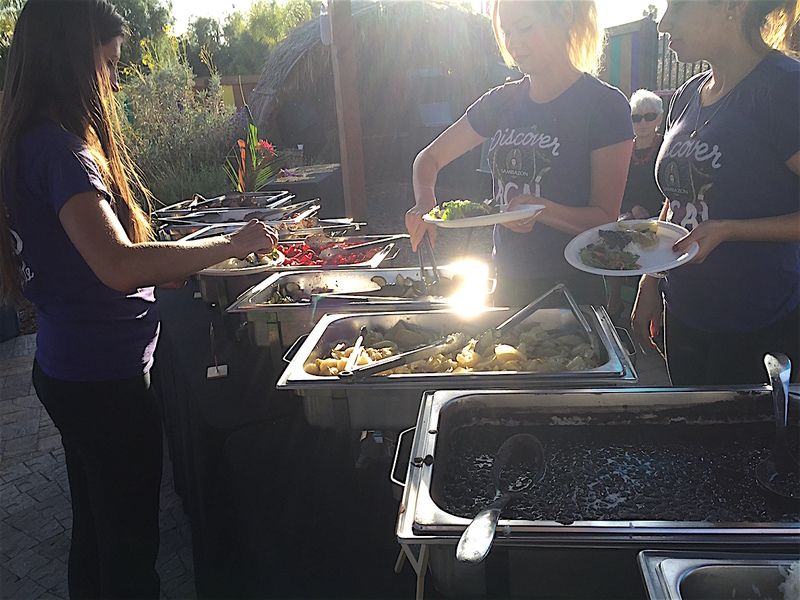 VIP appetizers were provided by Samba Brazilian Cuisine. Rio Catering pitched in with appetizers and desserts. Sambazon did the honors Acai bowl-wise. And as mentioned, Sabor de Vida did the heavy lifting with a full-on Brazilian BBQ spread and coffee. 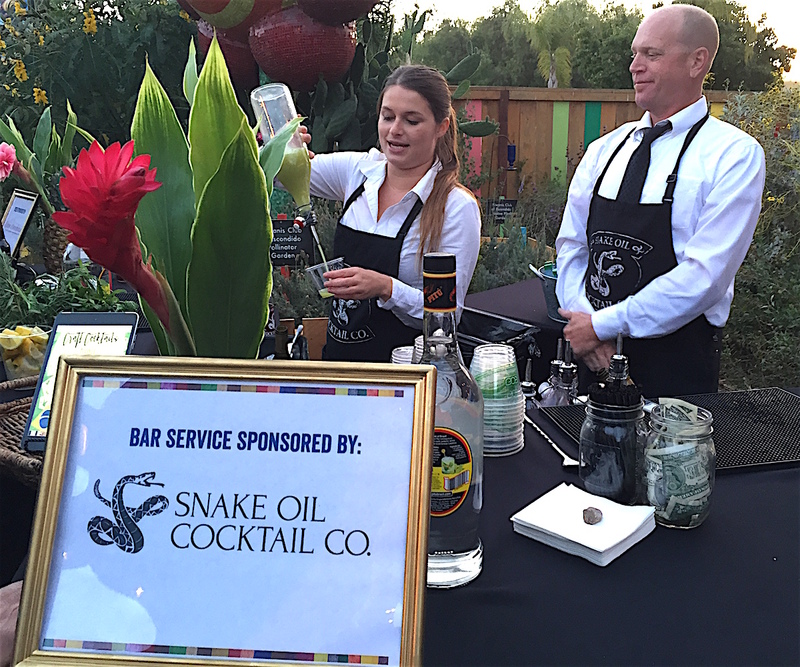 Snake Oil Cocktail Co, provided exquisite cocktails of the authentic Brazilian kind. JenZ Photography shot up a storm while other major sponsors like the San Diego Foundation and Rincon Band of Luiseno Indians lent tremendous support. Stone Brewing, Dr. Bronner’s Soap, North County Insurance, Rancho Valencia, TAG Family CFO , Sara Wacker Public Relations and many other major sponsors helped as well, putting on the show that extends daily to the Museum, keeping its doors open to the appreciative public. Led by Museum executive director Javier Guerrero (far left), dancers got jiggy with it near the evening’s end. Major Museum initiatives discussed and fundraised for this evening included the Play Lab hands-on educational exhibit program and Access for All fund designed to allow 60,000 people annually gain access to Museum programs when they might not be able to attend. The call also went out to invest, volunteer and join the effort through membership packages. To paraphrase President John F. Kennedy, ask not what the San Diego Children’s Discovery Museum can do for you, ask what…You know the drill. Find out what you can do for the kids by visiting http://www.sdcdm.org or calling (760) 233-7755. The Museum is open daily 9:30 a.m. to 4:30 p.m. at 320 North Broadway, Escondido 92025. About 200 guests attended the Museum gala. 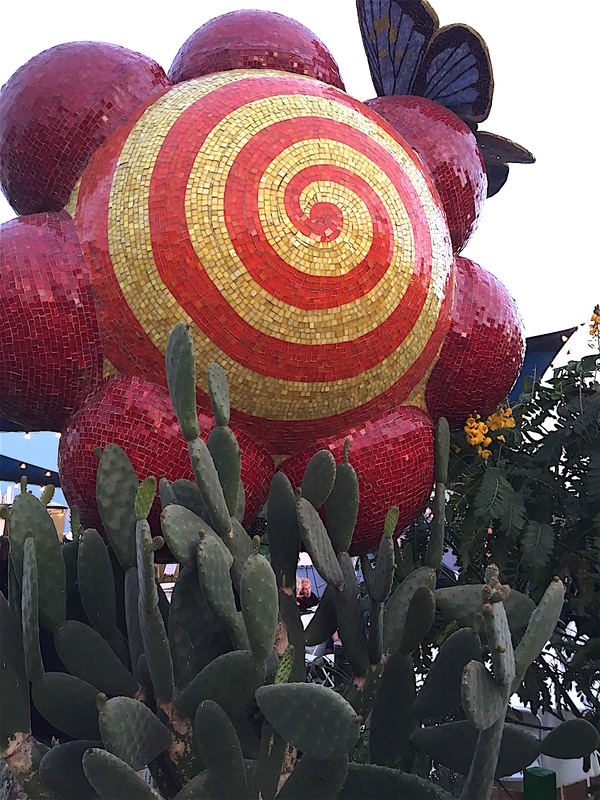 Wonders of the San Diego Children’s Discovery Museum. 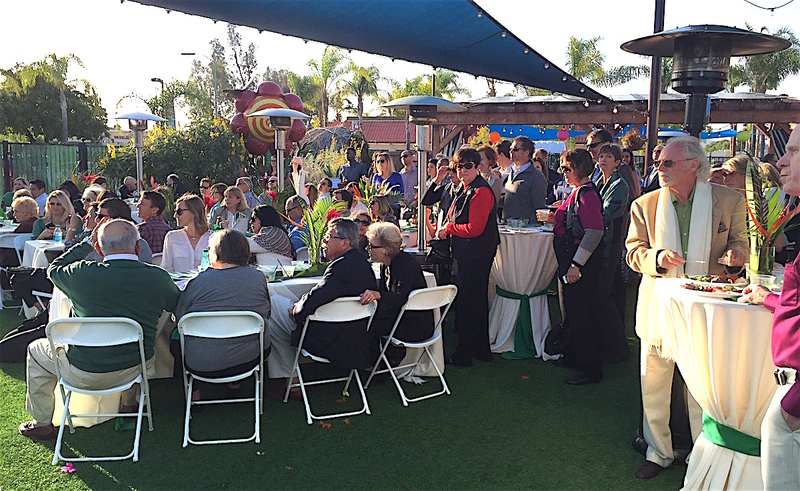 Be the first to comment on "San Diego Children’s Discovery Museum celebrates Brazil at its 2016 Spring Gala"